Last time when I have visited Thailand then I have enjoyed tuk tuk there. It is a great way in trial and for moving one place to another and also enjoys lots of things during this tour. Anyhow, any one had enjoyed this activity there during the tour? Last edited by discoverythailandadmin; 07-25-2017 at 07:02 AM. Thailand rickshaw tuk tuk seems so much great and really fun filled to try out surely I will try these and sure that will have a really nice kind of time while traveling out this great way of transportation. Yeah, you are right. It is a great way of fun there and also filled with having fun. 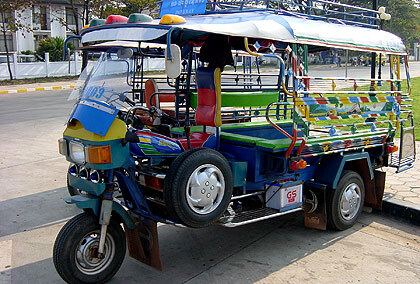 In Thailand, it is the best way of travel transportation. The tourists which take a tour there with kids they must enjoy this activity there. Because the kids are enjoy lots of fun through these kinds of activities.